Our previous blog post was regarding our hanger printing service. We have had a massive response regarding this and wanted to follow up on the post with a further example of some hangers we have just finished. 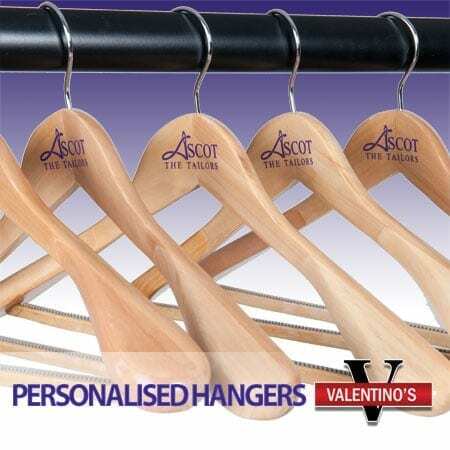 Have a look at the image below to see the quality of the our personalised hangers. As explained in our previous post there is no minimum order for this service. We are looking forward to getting some feedback from the customers who have ordered from us. Check back for their feedback. If you are interested in this service, check out our range of wooden hangers and then give us a call to get more information regarding the printing. Call us on 01489 808007 or email us direct: info@valentinosdisplays.com.